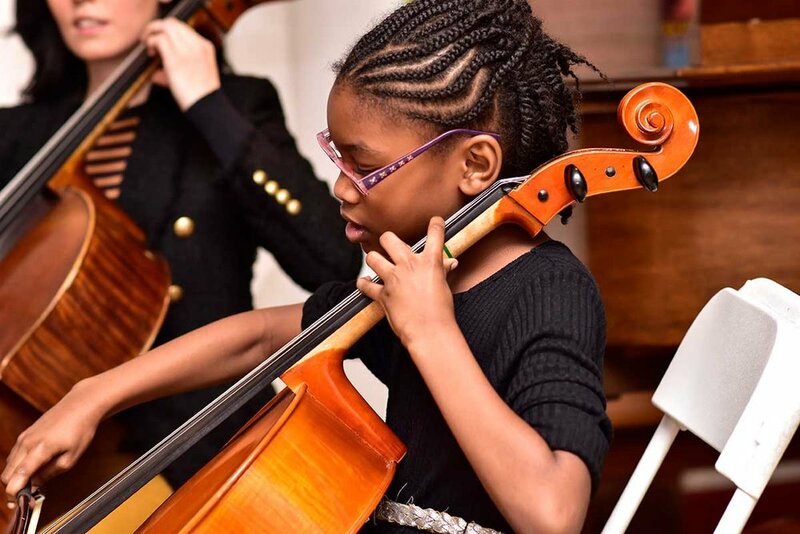 Violin, viola, cello and bass at the Brooklyn Music School have a long-standing tradition of excellence, and our outstanding strings instructors are comfortable with students of all ages and experience levels. Students gain a historical overview of the violin, viola, cello or bass while also gaining an appreciation of the instruments' diversity extending beyond the scope of just classical music. After learning the intricacies of the different parts and maintenance of the instrument, students then learn the proper posture and positioning of the instrument and bow. The basic principals of music theory including notation and rhythmic concepts are then applied to the instrument creating simple pieces that the students eventually perform together and solo. Intermediate and advanced students take part in the BMS Orchestra as well asconcerts and recitals in the historic BMS theater. Violin, viola, cello and bass studies at the Brooklyn Music School incorporate many different methods including Sevcik, Wohlfardt, Schroeder and Suzuki. Not sure if your child is ready for private lessons yet, start with our group violin lessons for students ages 5-7 on Saturday mornings for only $15/lesson!